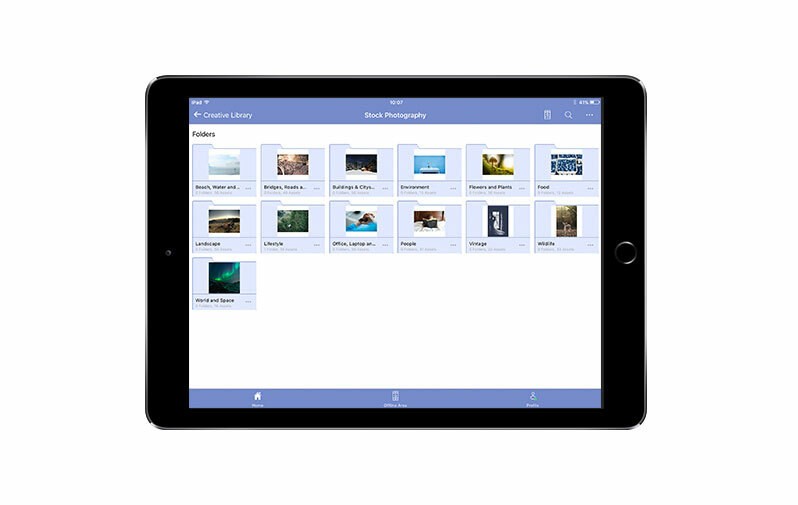 We are pleased to announce that we have launched the new Brandworkz iPad app which gives you access to all your digital assets on your Apple device. You can now get all your marketing materials on your iPad while on the move. Our new app enables you to view and browse through all your folders and assets while at a meeting or out of the office. It makes assets available offline so they can be viewed when not connected to the internet. Like the Brandworkz desktop platform, search in the app is accurate and lightening-fast, so assets can be found quickly and efficiently. All sorts of other digital asset management features are available. There’s access to all your personal and received albums, assets can be viewed in full-screen, metadata is fully available, and assets can be downloaded or shared. The Brandworkz iPad app makes use of the iPad notification system sending instant updates about new content that has been added to the system, so you never miss the most recent sales or marketing content. The app has been designed so that internal teams and third party partners can access the brand guidelines and marketing materials they need anytime, anywhere on an iPad or iPhone even when there is a weak or non-existent internet connection. The demand has come from B2B and B2C Brandworkz clients who are looking to empower their teams, such as sales or franchisees, to work efficiently and effectively when they are out on the road or using a mobile device.The performance of teams is enhanced when they can get hold of the materials and information they need without needing to make requests to head office for content. If you would like more information about our new Brandworkz iPad app or to make it available to your team please contact us at info@brandworkz.com. See it in the appstore here!